On February 11, 1992, my husband and our friend drove up to a local Southern California resort for a short day of skiing and never returned. I began to experience an unfamiliar gamut of terrifying, confusing, and gripping emotions. 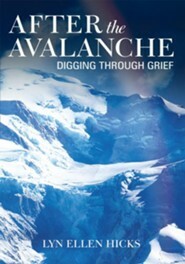 In the following 82 days of searching for them, I kept a journal of my thoughts, prayers and feelings, also thinking what a wonderful story it would make when they survived and miraculously emerged from the devastating snowstorm and heavily avalanched mountain proving the power of prayer and the unlimited ability of God! He didn't answer our prayers as we hoped; when my husband's lifeless body was recovered, the miracle story slipped away. I read everything I could find on grieving and became so frustrated that I could find so few of the kind of books I ached to read. I wanted to share others' journeys to know their intimate thoughts and their struggles and their triumphs. I felt the Spirit prompting to write my own book that there were others like me who would be edified by reading my story. No matter when or how you have suffered loss, you will recognize, relate, and be encouraged as you travel Ellen's journey plunging into the depths of the valley of death, digging through the mountain of debris, and emerging to find hope, healing and new life After the Avalanche. 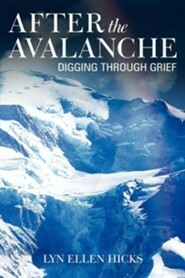 I'm the author/artist and I want to review After the Avalanche: Digging Through Grief - eBook.